What is wood pellet boiler? Wood Pellet boilers are used as central heating systems for heat requirements (heating load) of more than 3.9 kW (Kilowatt). But pellet central heating systems are not only used in single or two family homes (up to 30 kW), but also for larger residential or business units with heat requirements of a few hundred kW. Pellet burner systems run most efficiently at full load and can usually be regulated down to up to 30% of its full capacity. Since the warm up phase of pellet boilers usually takes longer than for oil or gas firing systems, short burning phases have negative effects on the fuel efficiency. In order to improve energy efficiency and reduce harmful emissions, pellet ovens are usually combined with buffer systems like water tanks for example. 4) Boilers are completely trimmed, packaged boilers. No additional fuel train items or electrical wiring is needed. 6) Horizontal series steam boiler classified atmospheric pressure and pressure endurable structure. The steam boiler can be used for producing desired hot water for product manufacturing process in the weave factory, printing and dying, papermaking, and rubber, plastic chemical, pharmaceutical, etc. And for heating room, bath, air conditional, and daily life water in the factories, departments, hotels, schools, restaurants, services industries etc. 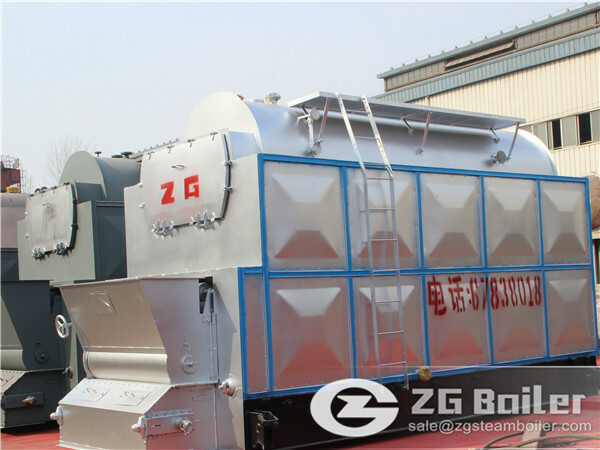 ZG is a powerful boiler manufacturer in China. Our wood pellet boilers compact structure are well received by customers. This type boiler is simple operation and quick installation.